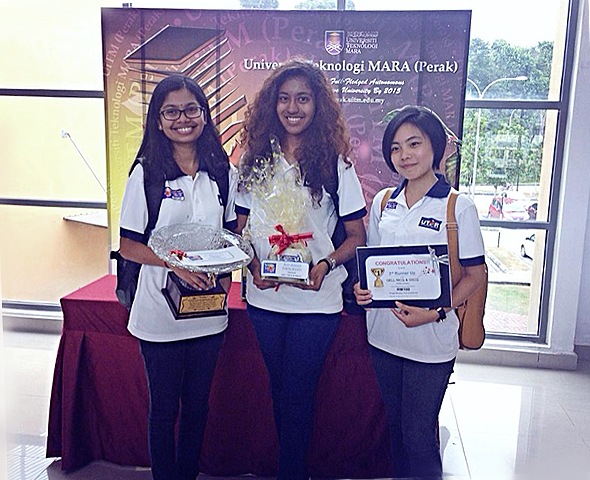 A group of three UTAR Faculty of Arts and Social Science students clinched the Third Runner-up spot in the Good English Language Learner Silver State Challenge Quiz 2016 (GELL-SSCQ 2016) held at Universiti Teknologi MARA (UiTM) Perak on 2 April 2016. The freshmen team comprising English Language (EL) student Vivian Yap Mun Kuan, English Education (ED) students Thanushini a/p Patimanathan and Sheena William also added another feather in their cap when Thanushini was awarded Best Female Participant under the Tertiary category. Organised by UiTM Perak, the GELL-SSCQ is an annual invitational quiz competition for public and private institutions of higher learning within Perak Darul Ridzuan. 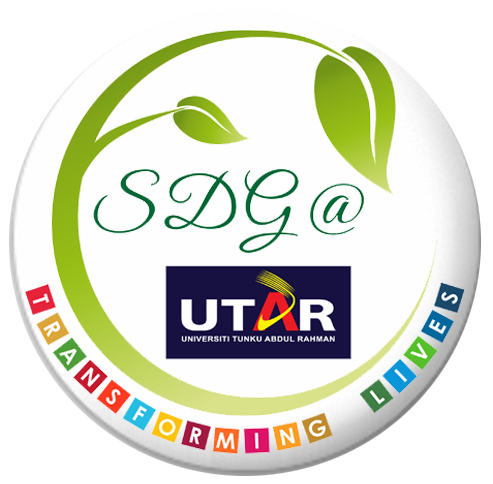 Participants are quizzed on general knowledge, geography, music, STEM and others topics which ultimately encourages participants to communicate in English during brainstorming and discussion sessions. “Joining the competition was an eye-opening experience for all of us and claiming the third runner-up spot was another surprise,” commented Thanushini. Echoing her sentiment was Yap, who said that the win was a boost to her confidence in joining future competitions as well as driving her to push herself to her limits. The team walked away with a cash prize of RM100 and certificates for each member, while Thanushini bagged a trophy, a certificate and a hamper.